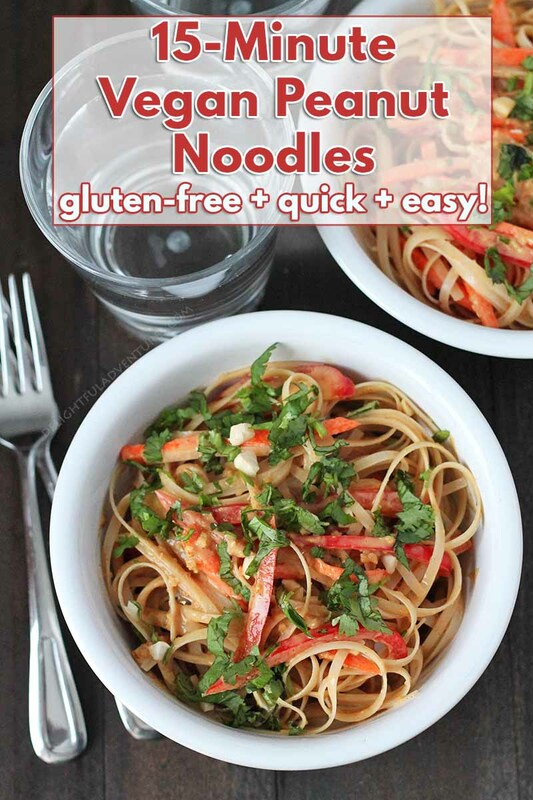 Packed with flavor, these mouthwatering, vegan peanut noodles come together in just 15-minutes! This recipe is the ideal, quick, and easy vegan dinner for busy weeknights. You know those crazy weeknights when it’s time to make supper but you really don’t want to deal with making something that’s going to take ages to finish and contains 945 ingredients? 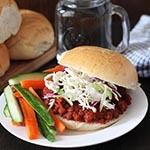 This recipe comes from Sam Turnbull’s new cookbook “Fuss Free Vegan.” You may know her from her blog, It Doesn’t Taste Like Chicken. If you aren’t familiar with her blog, the whole idea behind it is that being vegan can be fuss-free and that it really isn’t that hard. With her recipes, she shows how easy (and delicious! ), it can be. Her book is the same. 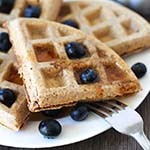 It’s filled with veganized, fuss-free versions of recipes you may have once loved or may still love, very much like what I try to do here on my website! The book contains recipes for breakfast, party foods, burgers and sandwiches, sweets, and more. 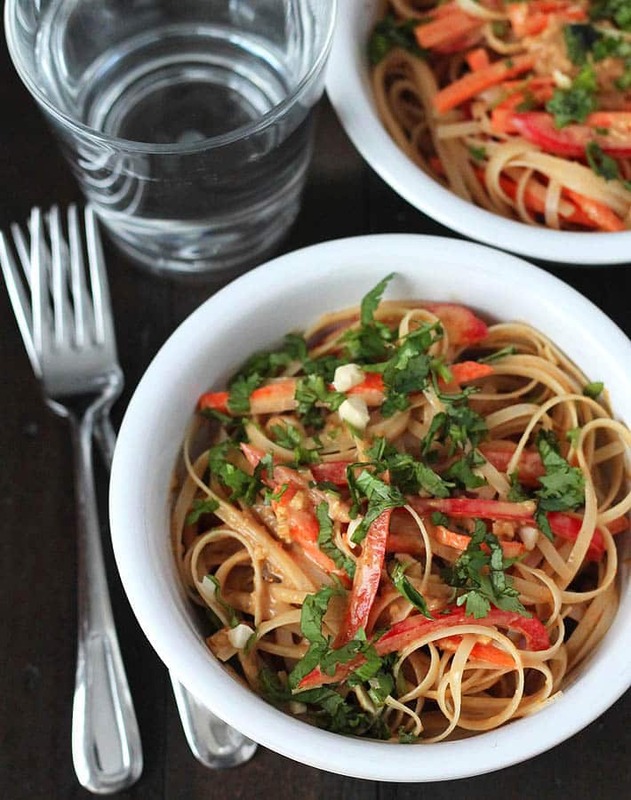 One of the recipes that caught my eye is the 15-minute vegan peanut noodles. Weeknights in my home can get a little hectic, especially the evenings when the kids have their practices, or when one of us has something to attend. 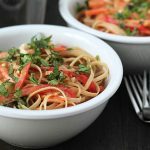 The reason for the bold flavour in this vegan noodles recipe is the delicious and easy vegan peanut sauce. Doesn’t peanut sauce make things taste so much better? This one in particular contains fresh garlic, fresh ginger, fresh lime juice, tamari, and of course, peanut butter, plus a few other ingredients that take the sauce over the top. Whether you’re dabbling with vegan food, have just decided to follow a vegan diet, or have been vegan for a while, “Fuss Free Vegan” is a good cookbook pick up for yourself or for someone else as a gift. As mentioned above, it contains recipes for foods you are already familiar with; the only difference is that these versions are vegan. And don’t forget to pin this to your recipe board on Pinterest! This recipe for 15-minute vegan peanut noodles is packed with flavour and comes together very quickly! It's a great dish for busy weeknight meals. 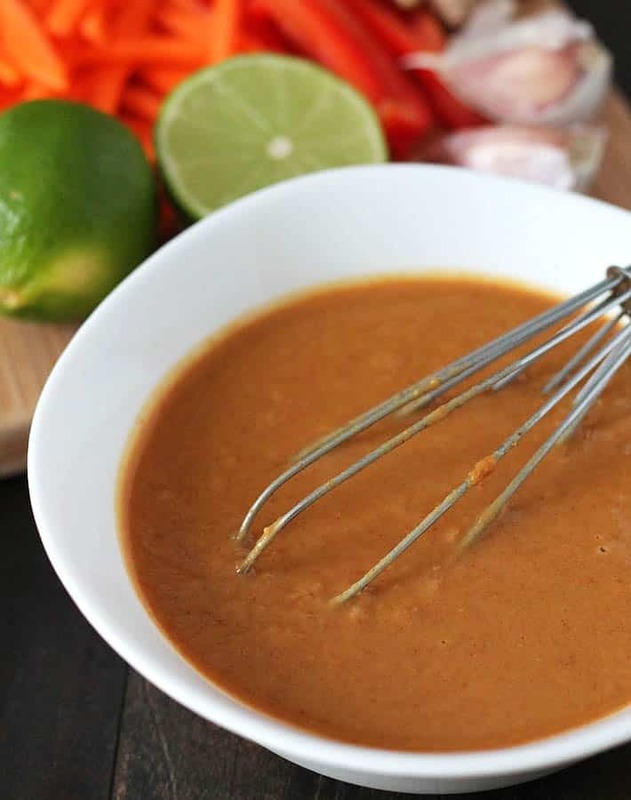 For the peanut sauce, in a small bowl, mix together all of the sauce ingredients. Set aside. Cook the noodles according to the package directions. Drain them and return them to the saucepan. Add the peanut sauce, bell pepper, and carrot. Toss well to combine. Garnish with green onions, peanuts, and cilantro. Add more hot sauce if you like. If you don’t happen to have raw red bell pepper and carrots, try using chopped cucumber, thinly sliced cabbage, cooked edamame, snow peas, basil leaves, or cubed tofu. Nutrition info is for 1 serving (of 4) prepared as the recipe is written and without any optional hot sauce. I used smooth peanut butter, low-sodium tamari, maple syrup and gluten free rice noodles. Data below is only to be used as a rough guide. Click to learn how nutrition info is determined on this website. 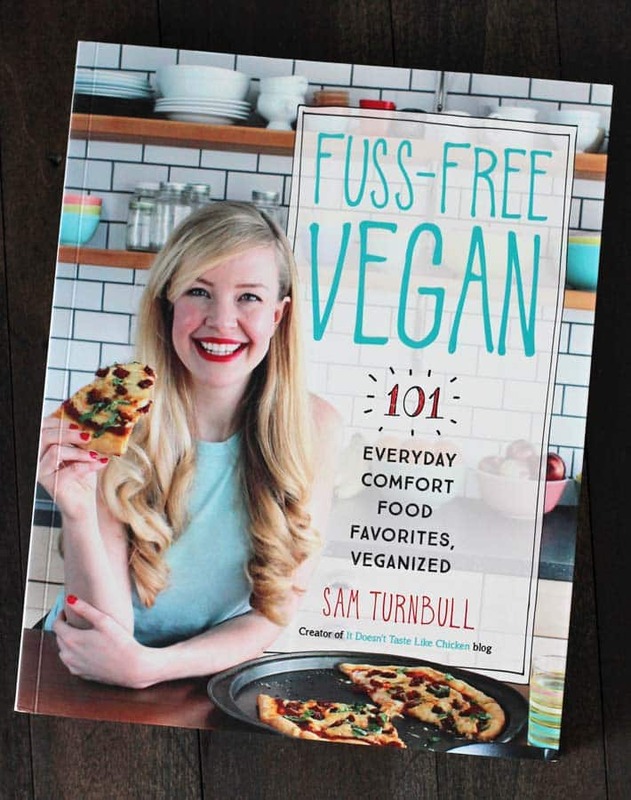 Penguin Random House Canada sent me a copy of “Fuss Free Vegan” at no charge to review and share a recipe from the book on my website. All opinions about this book and the recipes found in the book are my own. All images in this post were taken by me and are also my own. 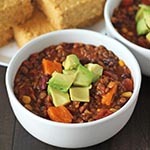 Recipe excerpted from Fuss Free Vegan: 101 Everyday Comfort Food Favorites, Veganized. Copyright © 2017 Samantha Turnbull. Published by Appetite by Random House®, a division of Penguin Random House Canada Limited. Reproduced by arrangement with the Publisher. All rights reserved. I saw this on Finding Vegan. Looks great, I’m super allergic to peanuts though. But maybe I’ll try with tahini instead 🙂 Looks really delish! Yay!! So happy you loved my book. Thanks so much for taking the time to review it. 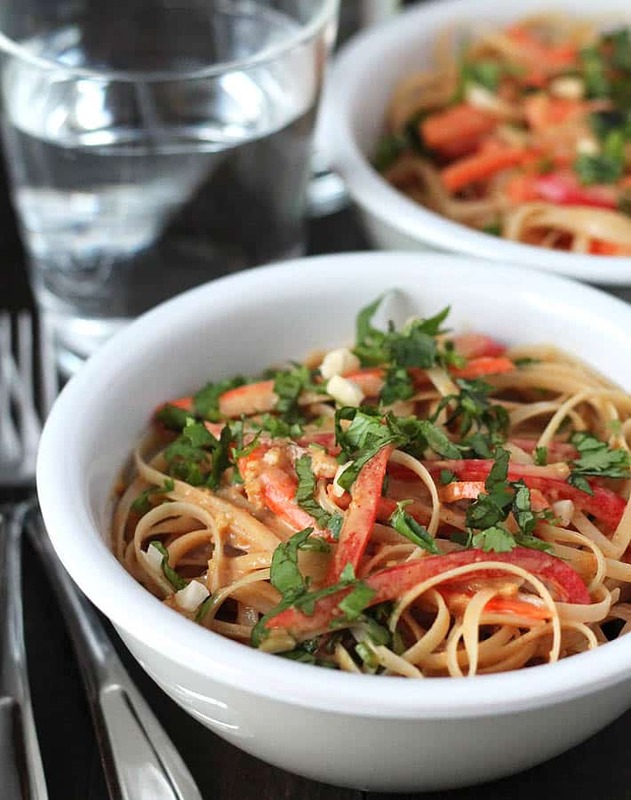 Now you have me craving those peanut noodles again… and I just ate dinner! !